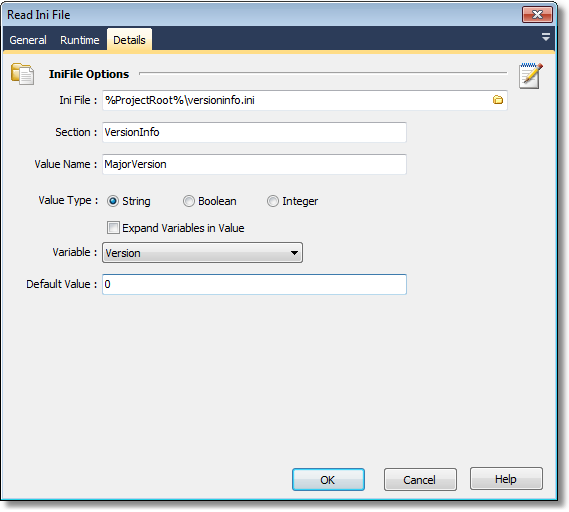 This action allows you to read values from an ini file into FinalBuilder variables. Variable : The name of the FinalBuilder Variable to read the value into. Default Value : The default value to use if the value name is not found in the ini file.